Join us for a beloved holiday tradition at Breakfast with Santa inside our beautifully decorated, floored, and heated “Gingerbread House” tent at the Roc Holiday Village in downtown Rochester. Listen to a magical story read by Santa and his helpers. Make fun crafts and take a photo with Santa. Fill your belly and your heart at Breakfast with Santa Claus! 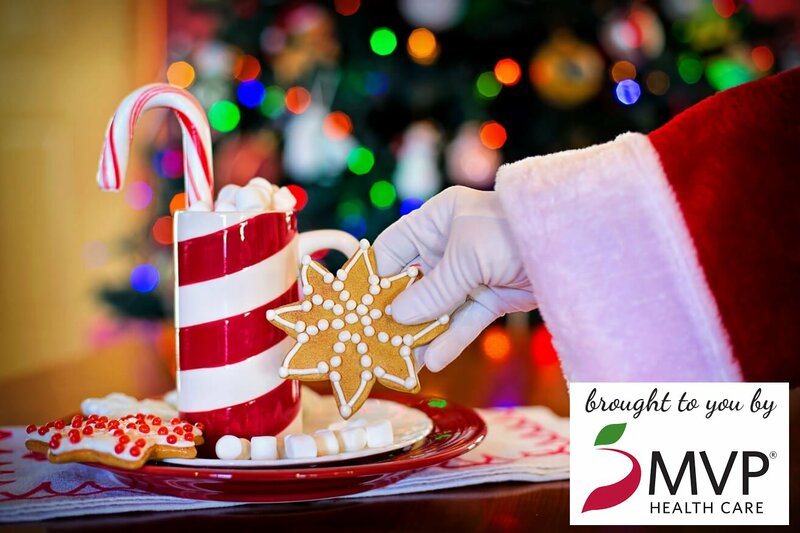 Immediately following story time through 11:30 a.m. – Breakfast Buffet, Crafts, & Visit with Santa. Buffet includes pancakes, eggs, sausage, fresh fruit, orange juice, apple juice, milk, chocolate milk, hot cocoa, coffee, muffins, and more! Children 2 and under FREE! Please be sure to arrive on time. We are unable to extend the reservation time for latecomers. Reservations are non-refundable and are valid for breakfast only on the date and time specified. Parties of ten or more are not guaranteed to be seated together, but we will try our best to seat you close to each other. Structure tent is floored, heated & accessible to all.